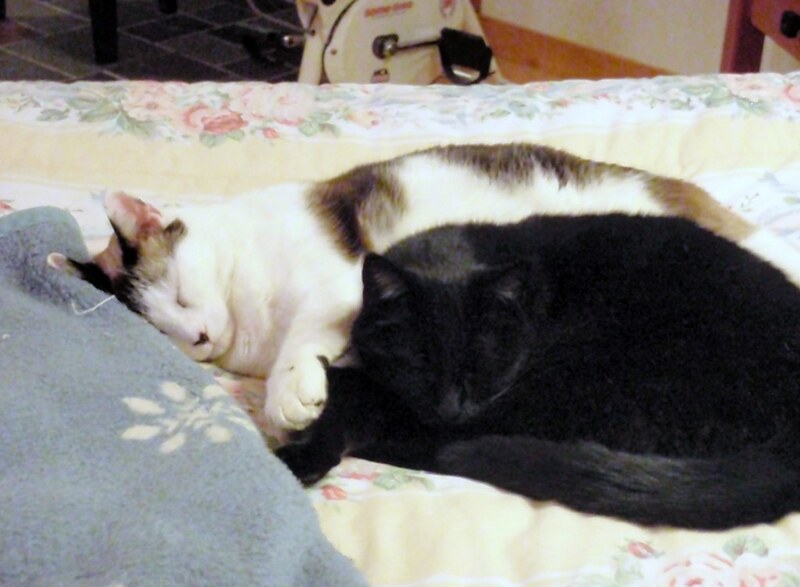 After years of ignoring each other, Buddy and Zorro now cuddle together when they sleep. This is because Zorro's cuddle cats have passed on. Zorro has been relentlessly pursuing Buddy for this sleeping companionship and Buddy, for months, resisted all of the advances. But the boys have reconciled their differences and now sleep like this every evening. I have benefited from this also, because Buddy has now returned to bed to sleep with me like he did years ago. Awww, that's sweet! I wish I had cuddle-cats but I don't. The closest they get is leaving a foot of space between them. LOL!